Indeed, scholars say coverage of the Ozawa affair echoes the positive coverage given to earlier arrests of others who dared to challenge the establishment, like the iconoclastic Internet entrepreneur Takafumi Horie. 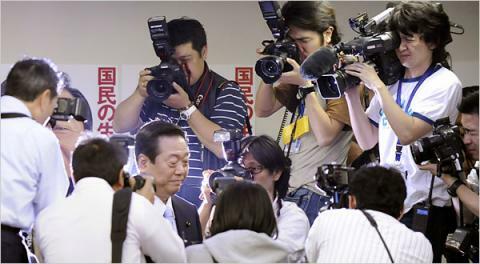 Japanese journalists defended their focus on the allegations against Mr. Ozawa, arguing that the public needed to know about a man who at the time was likely to become Japan’s next prime minister. They also say they have written more about Mr. Ozawa because of a pack-like charge among reporters to get scoops on those who are the focus of an investigation. Thank you very much! Appreciate!